Funeral services will be Saturday for a brother and sister killed in a tragic crash on East Kingsfield Road. 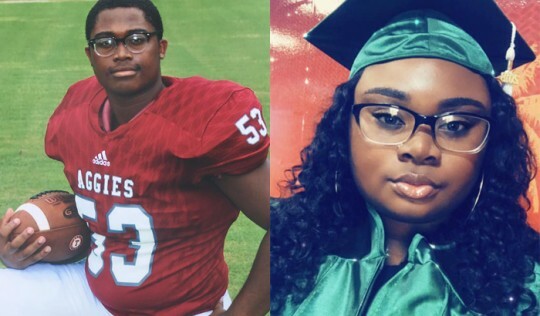 Sean Banks, a 15-year old sophomore scholar three-sport athlete at Tate High School, and sister Antoinette McCoy were killed in a tragic car crash early Saturday morning when their vehicle was hit by an alleged DUI driver on East Kingsfield Road. It was just hours after Banks’ last basketball game for Tate, and only about a month since McCoy graduated from college. Visitation will be held Friday from 2-8 p.m. at Tracy Morton Memorial Chapel at 55 Coast Road. The funeral service will be at 9 a.m. Saturday at Hillcrest Baptist Church at 900 East 9 Mile Road. The Tate High School Quarterback Club is assisting the family with expenses. Click here for more information. He will be with us as we go through. I send my heart felt sympathy. Praying for strength for the family!